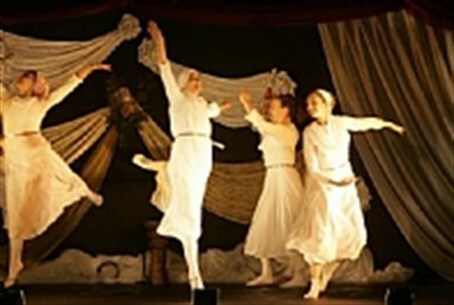 The Jewish holiday of nuptials will include the third women's annual dance festival in Shilo. Tu B’Av, the Jewish holiday of nuptials, is on Monday, and it brings with it a unique annual festival in Shilo, located in the Binyamin region, that combines Talmudic tradition with the more modern expressions of dance for women. The festival renews an ancient tradition brought in the Mishna, written 2,000 years ago, which explains that Tu B'Av is a very festive minor holiday, on which Jewish maidens used to go out to the vineyards to dance wearing borrowed white clothing, so as not to embarrass those who did not have fine garments of their own. The young women would say, "Young man, lift up your eyes and appreciate whom you are selecting [to marry]. Look not at beauty, but rather at the family..."
Avital Horesh, artistic director of the festival, told Arutz Sheva on Sunday the festival aims to be an open house which presents the rapidly growing Jewish dance world. “This is the third year that we are holding the festival on Tu B’Av, but it’s the first year it will be this big with about 1,000 women expected to attend,” she said. Horesh, a dance teacher and motion therapist, is married with three children and lives in the community of Kida. She runs the festival along with Michal Weizman. Horesh added that even religious women who are not used to dancing will find their place in the festival.